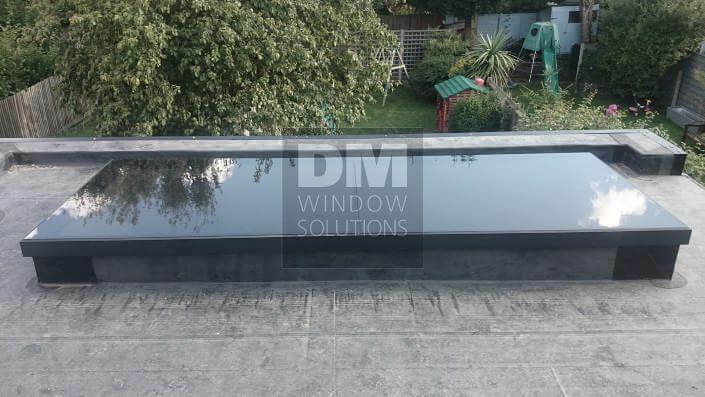 Numerous buildings have flat roofs, giving you plenty of opportunity to enhance the look of your home. 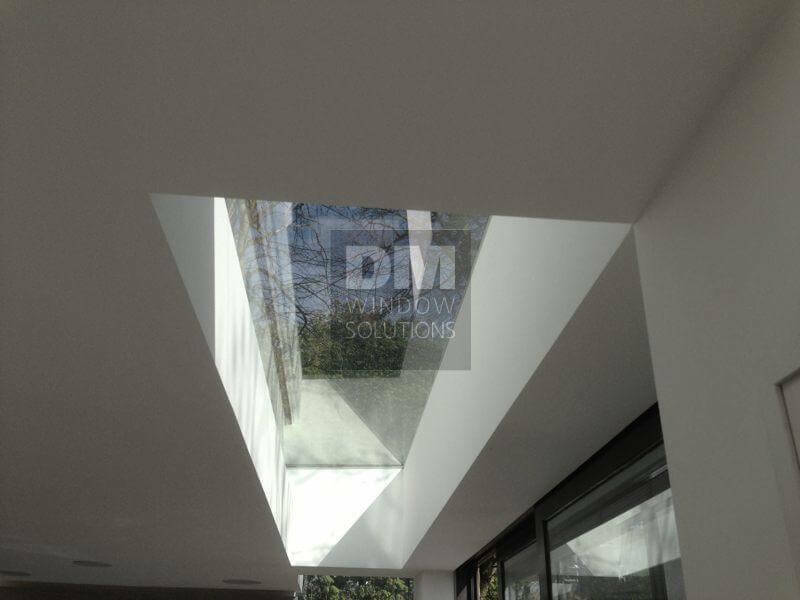 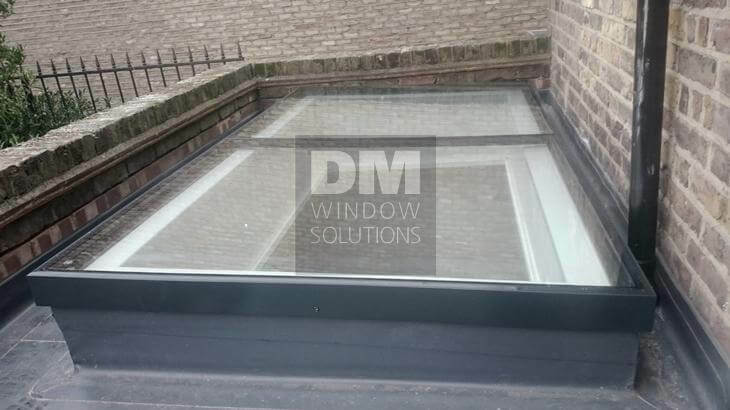 Our skylights have been developed in order to allow as much daylight inside your homes as possible. 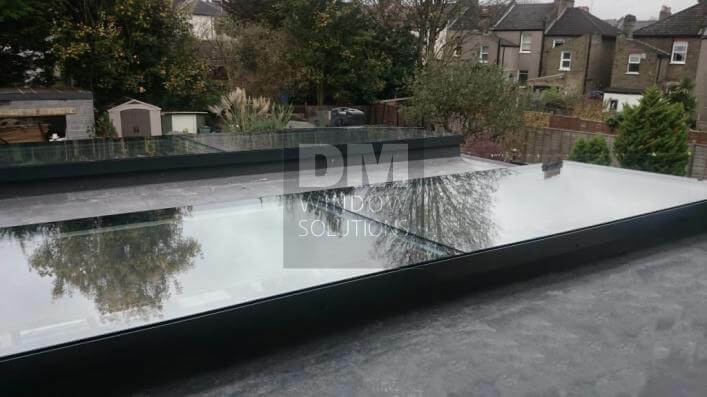 These unique aluminium structures can blend in perfectly with any roof, offering a sleek, modern look along with all the functionality and light a roof window offers. 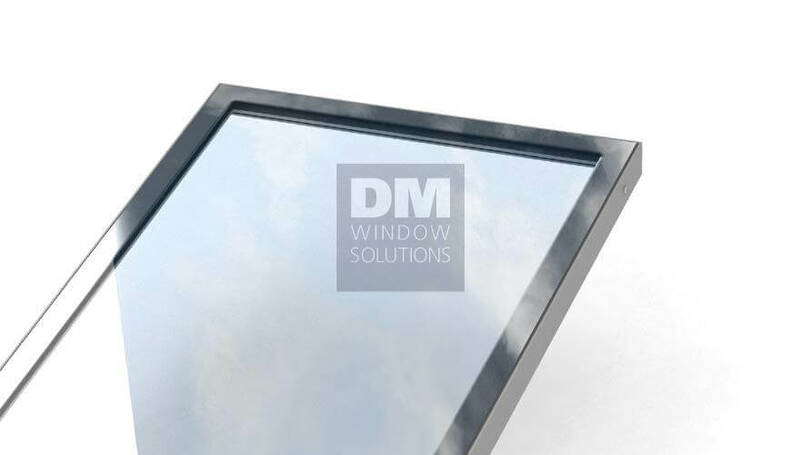 Additionally, our roof windows and skylights will allow you to save a lot of energy, as they help reduce U-Values. 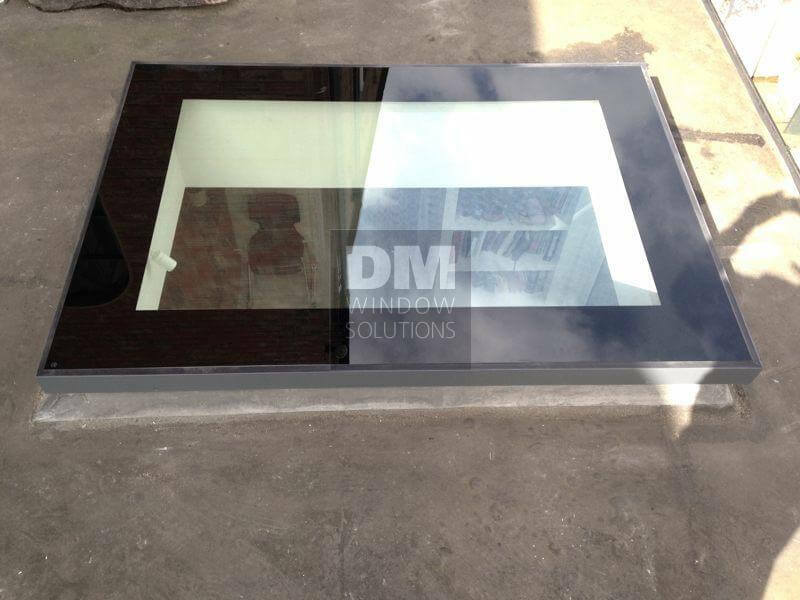 As they are manufactured in bespoke sizes, you have great variety in your selection. 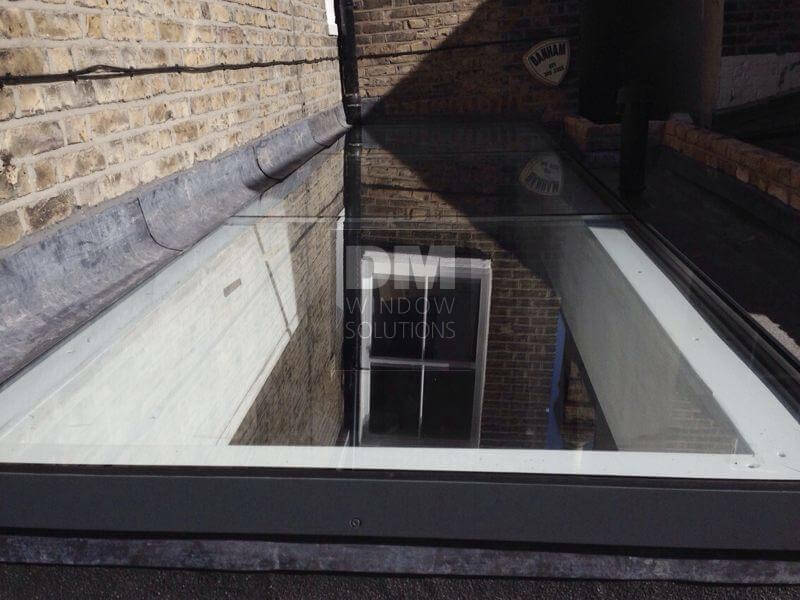 WE OFFER THE SHORTEST LEAD TIME IN LONDON AND THE UK - 2-3 WEEKS! 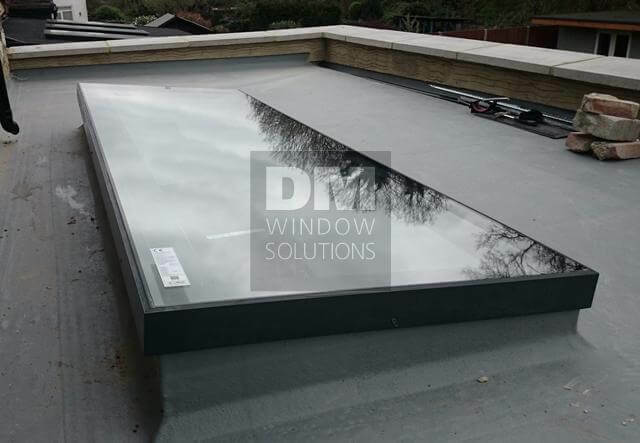 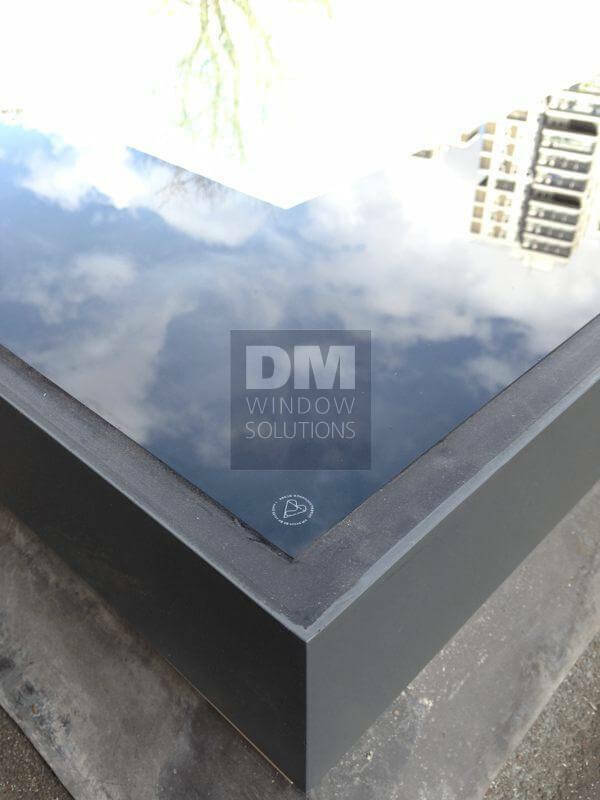 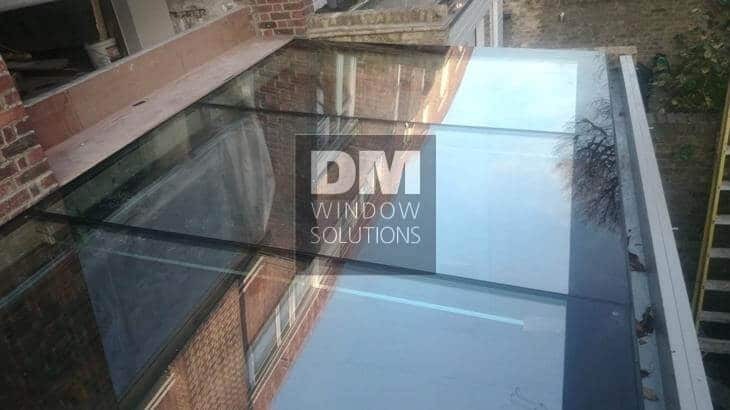 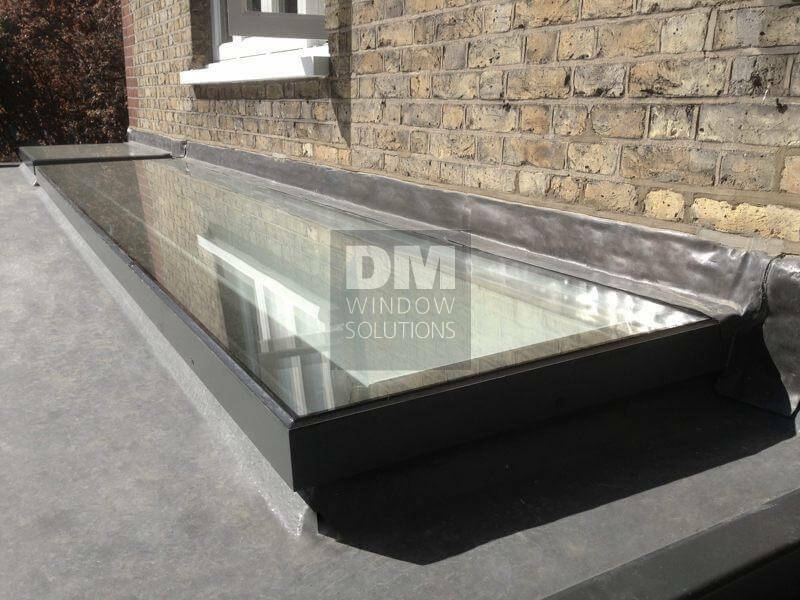 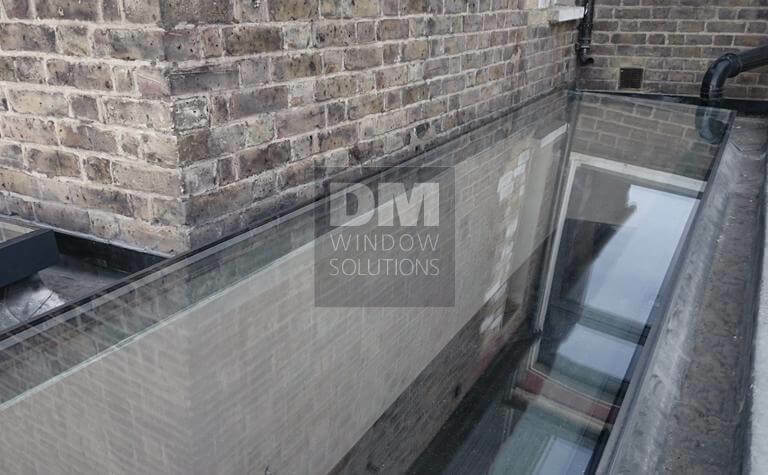 Unique aluminium profile along with a choice of glazed units and quality weatherseals allowed to design very solid, integral flat roof window. 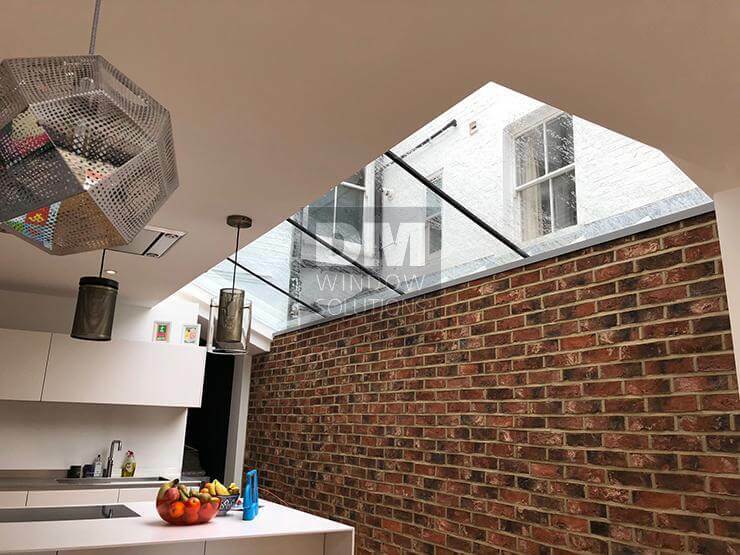 Its form lets into the building as much light as possible without interfering with the property’s style – both inside and outside of it. 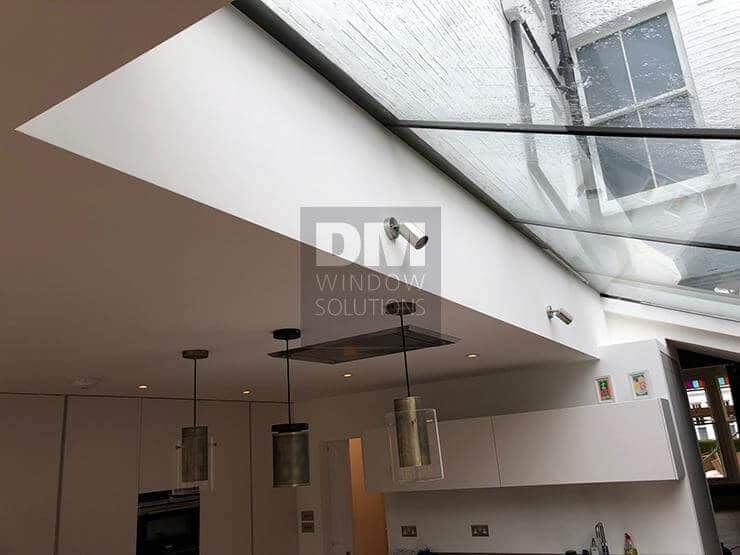 The frameless design is practical and aesthetic at the same time, as it makes the water drainage highly efficient and provides clean, modern impression, increasingly popular nowadays. 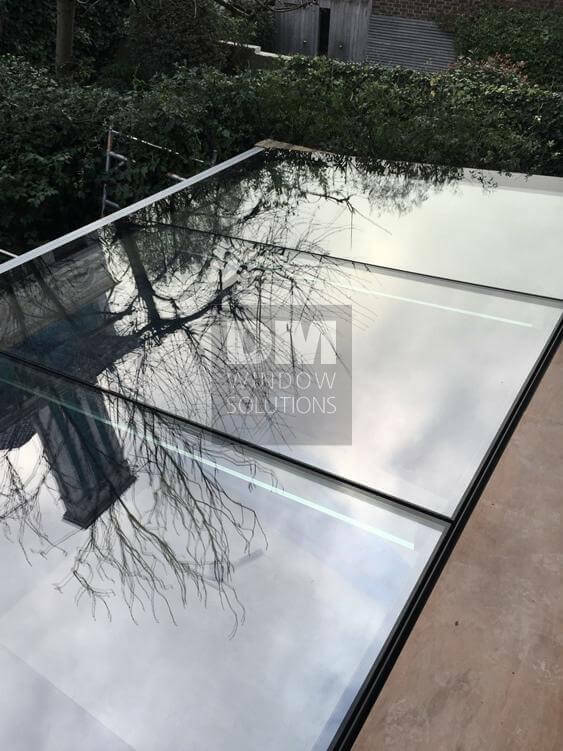 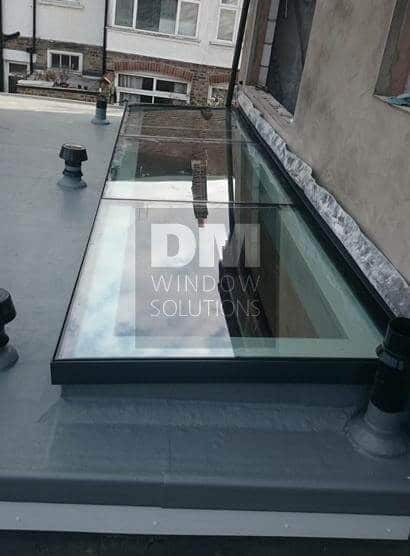 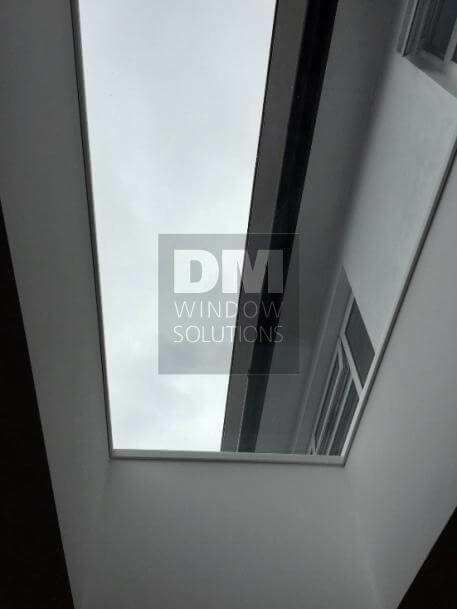 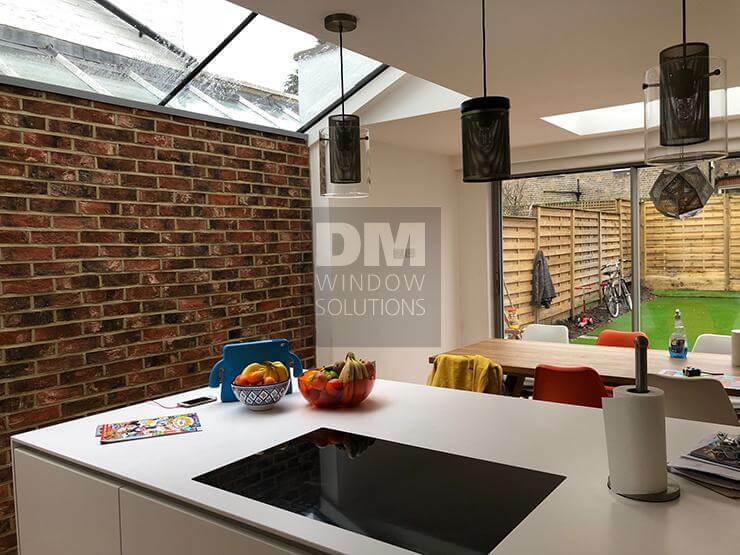 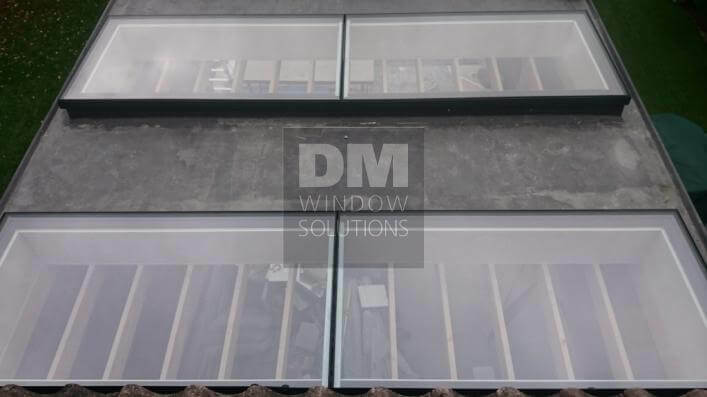 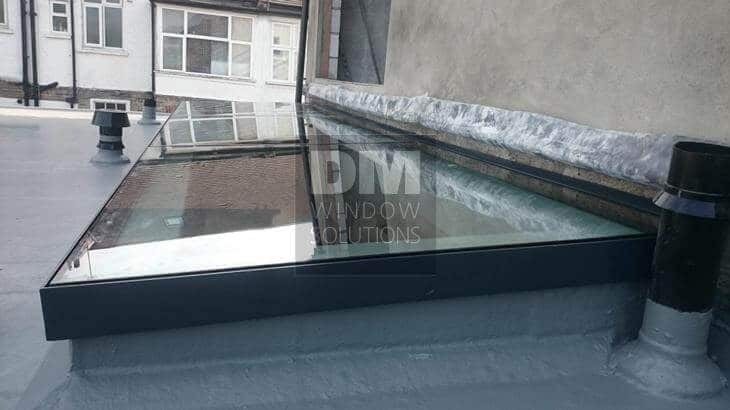 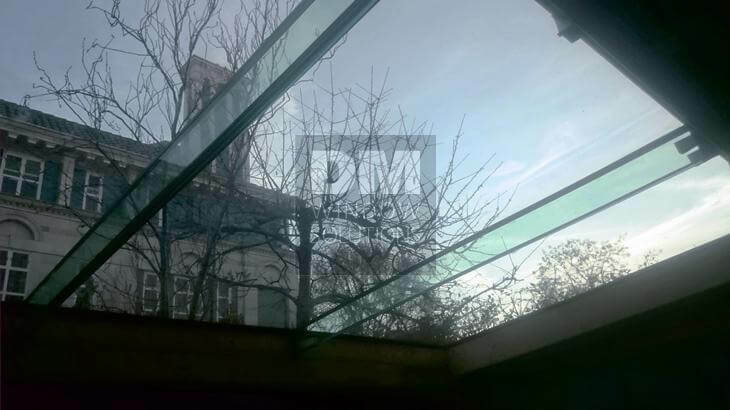 No elements reduce the amount of light entering the interior, there are no cold spots in terms of insulation, as well as potential condensation inside the flat roof skylights was eliminated thanks to non-metallic, warm edge spacer bar. 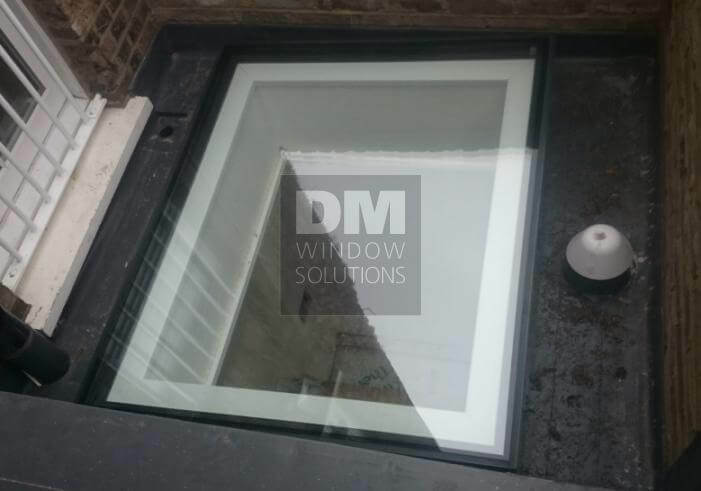 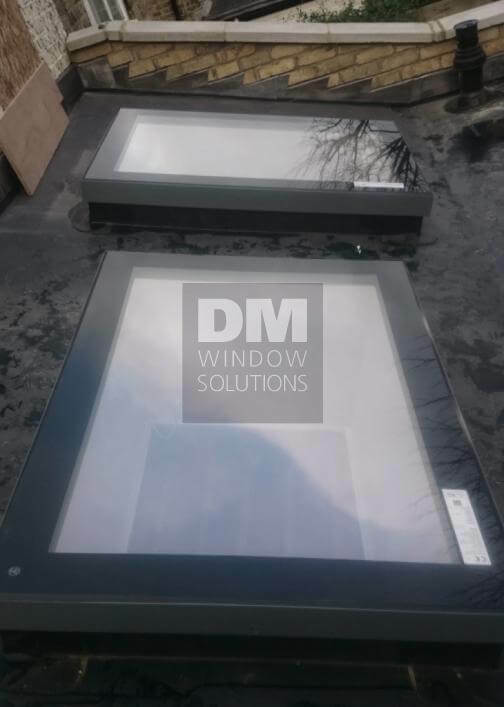 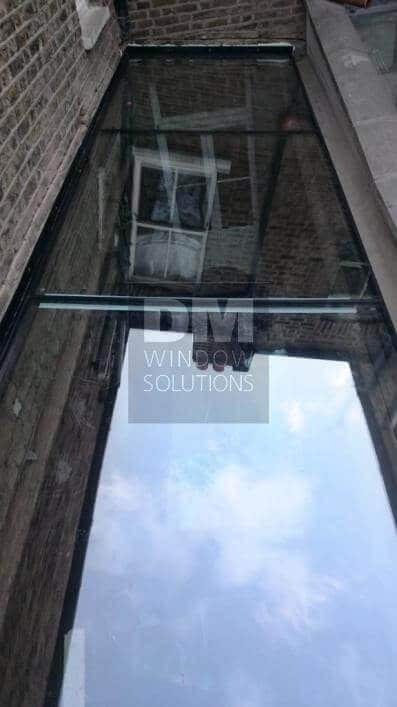 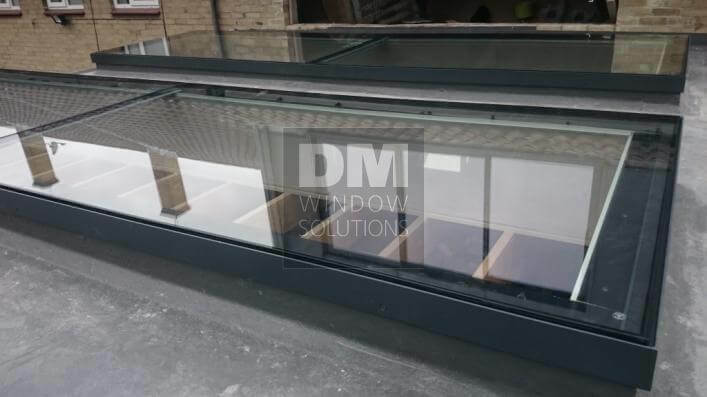 To guarantee the ultimate thermal insulation, we have developed special double or triple glazed safety units, using Low E glass, which exceed official thermal requirements with U Values of 1.1 W/m²K for the centre pane. 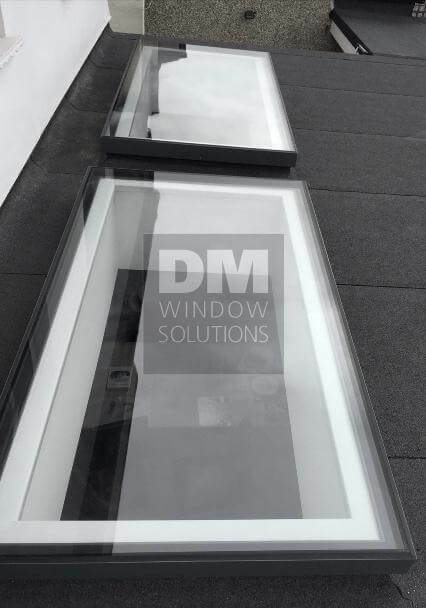 As a result every flat roof window we manufacture keeps the heat in during colder months and makes the interiors lighter, happier, even with bad weather outside. 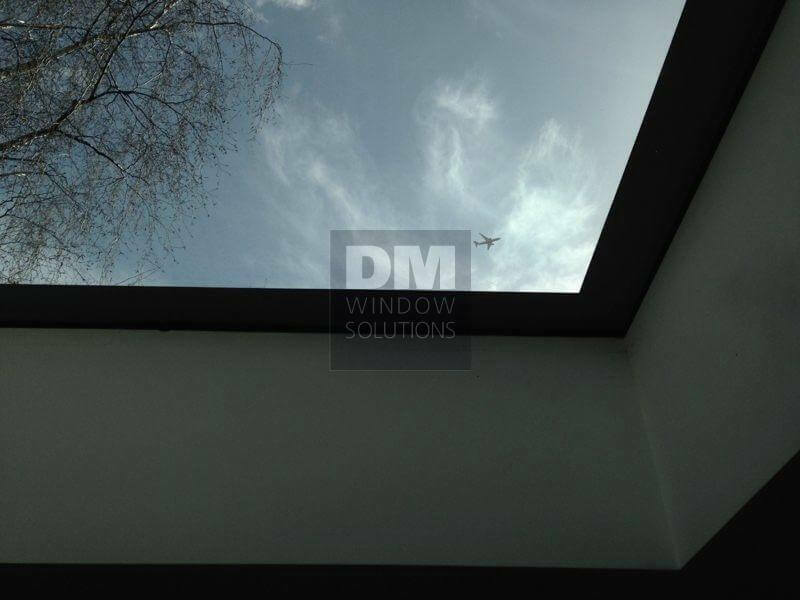 2-3 weeks – the shortest lead time in the UK! 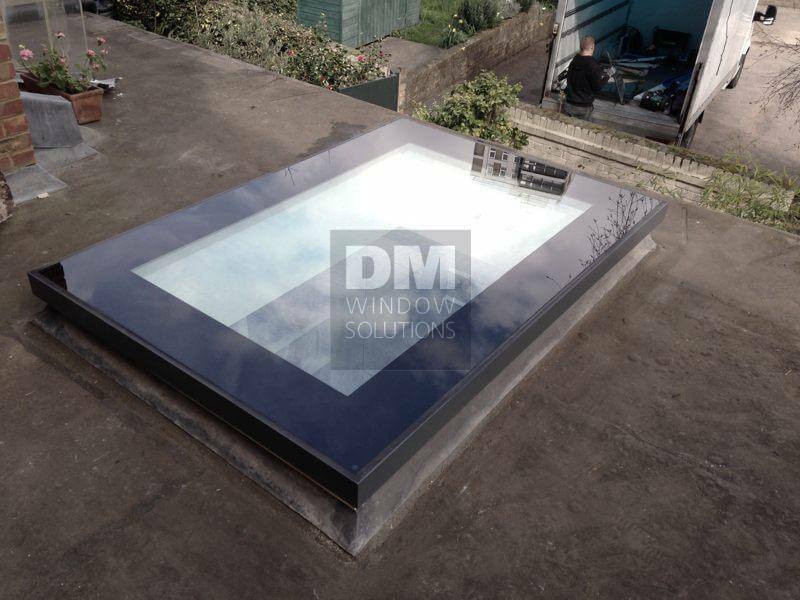 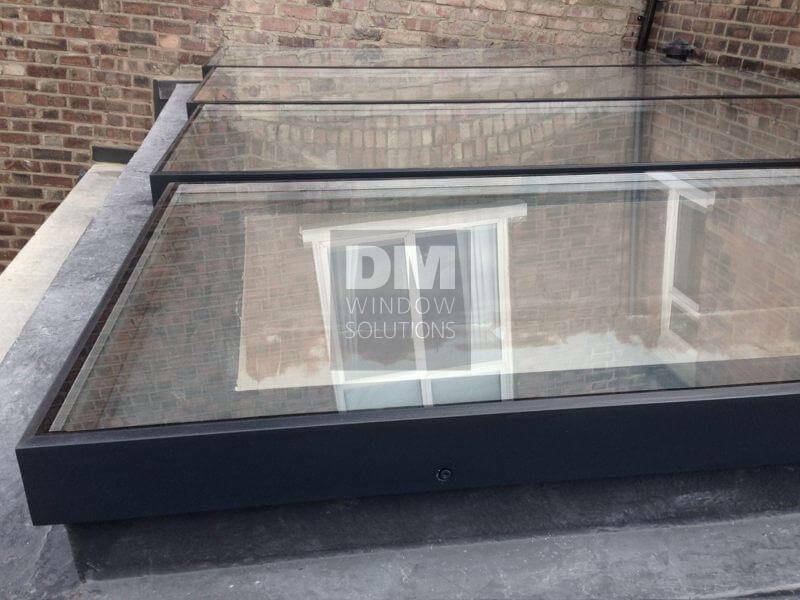 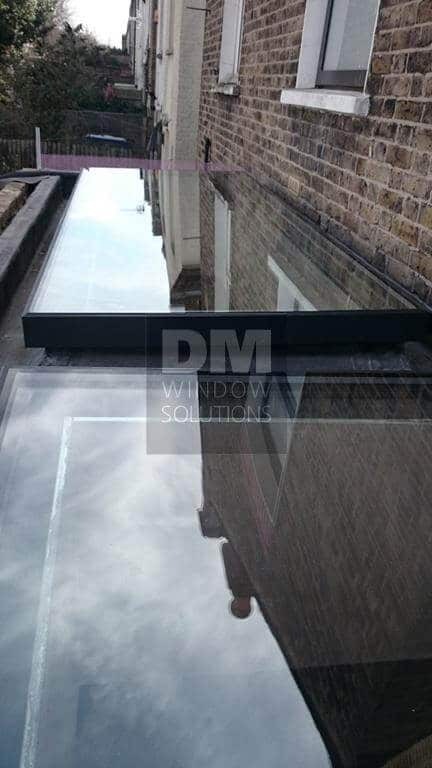 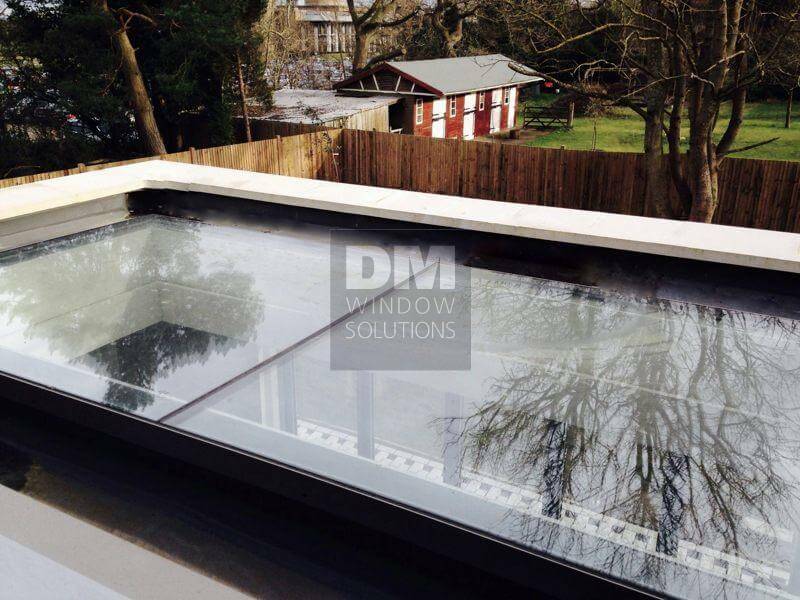 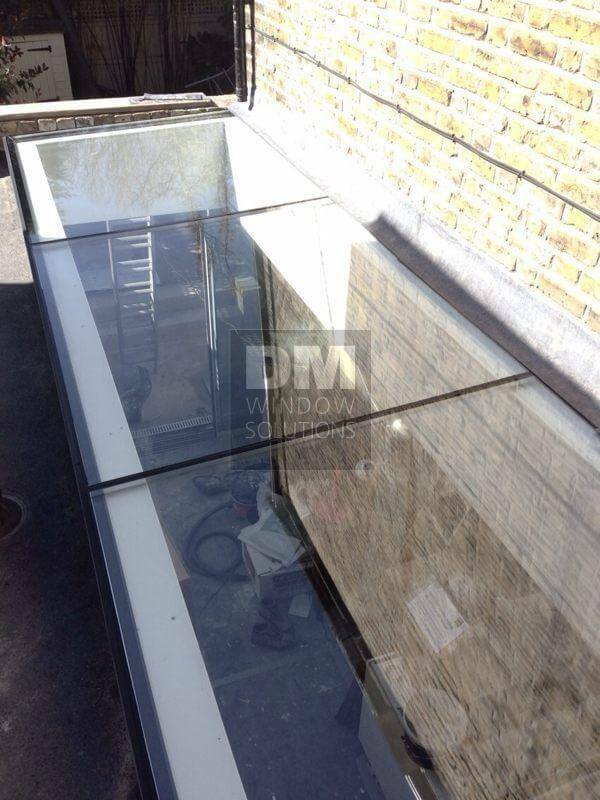 We supply our flat roof skylights pre-assembled, therefore the installation only takes several minutes. 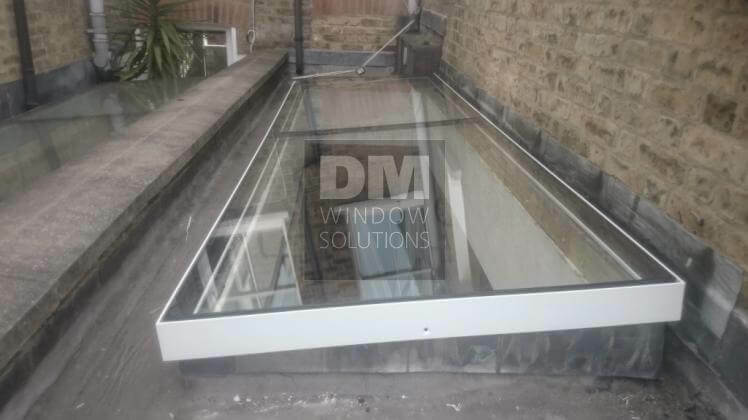 Our qualified fitters can conduct the work for you, or you can choose to do it yourself. 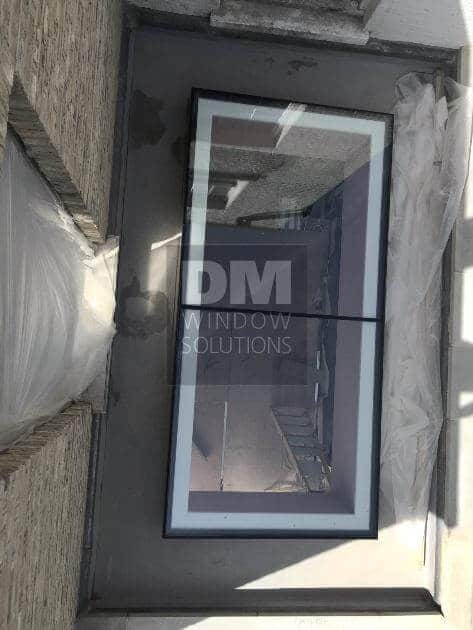 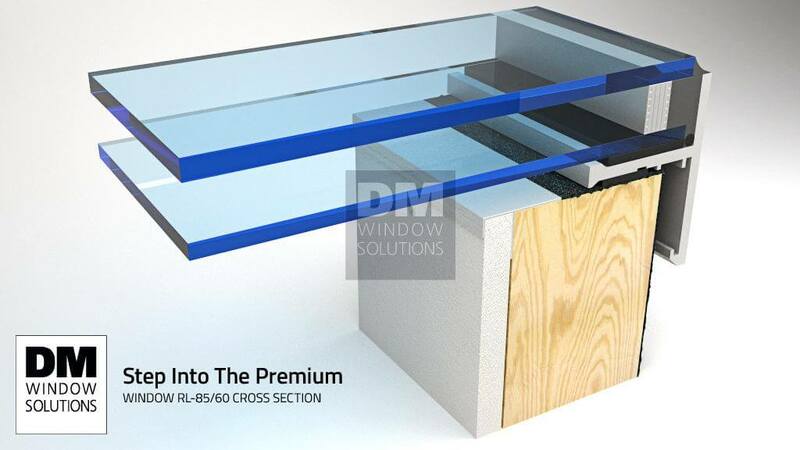 Standard glass specification for smaller sizes: Toughened (6mm)|Argon (20mm)|Toughened Low E. (6mm) with U-Value: 1.3 W/m²K for the whole window. 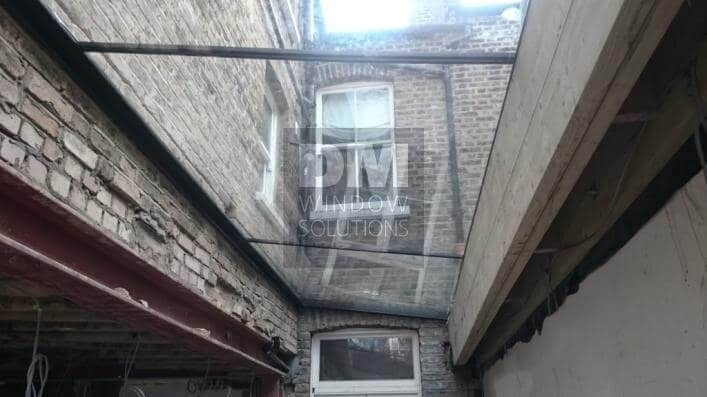 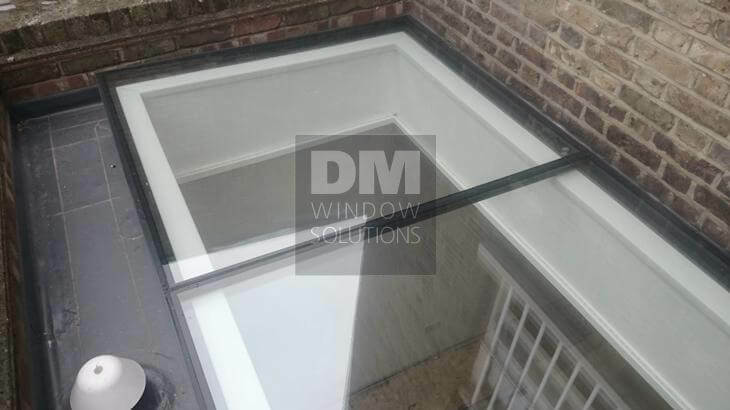 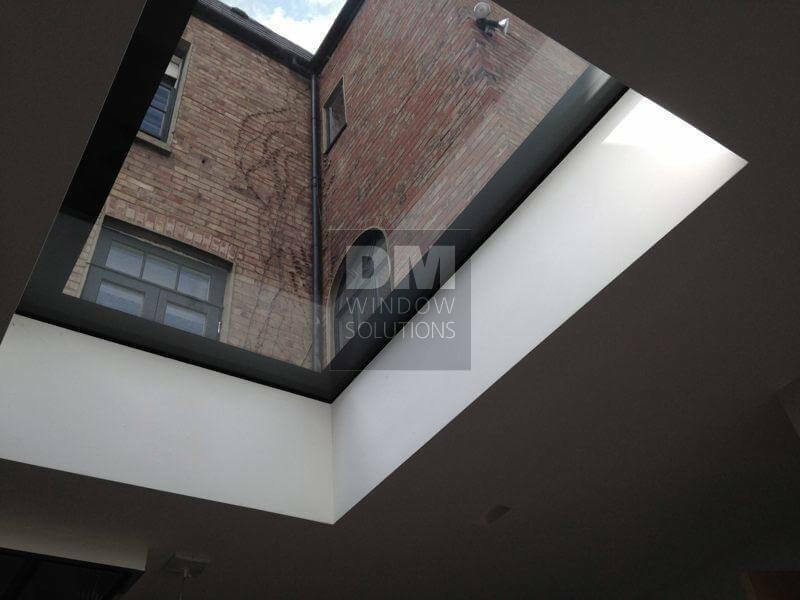 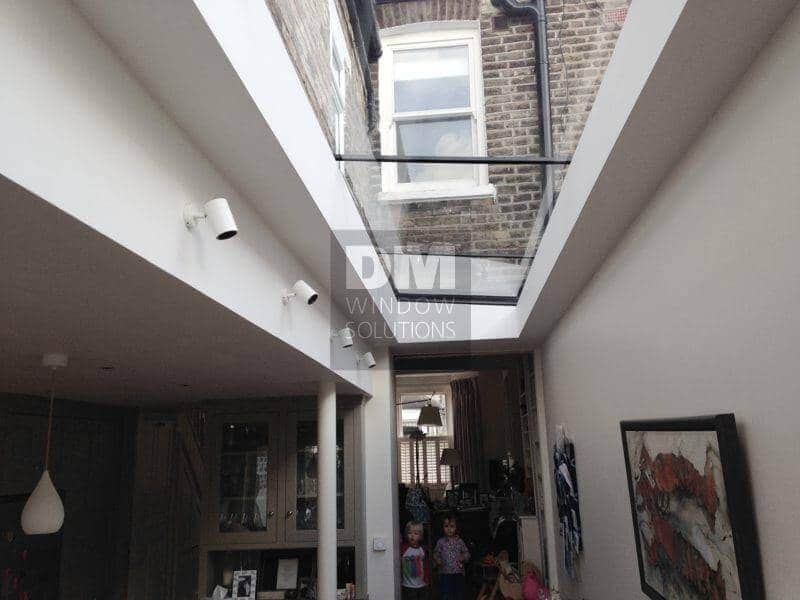 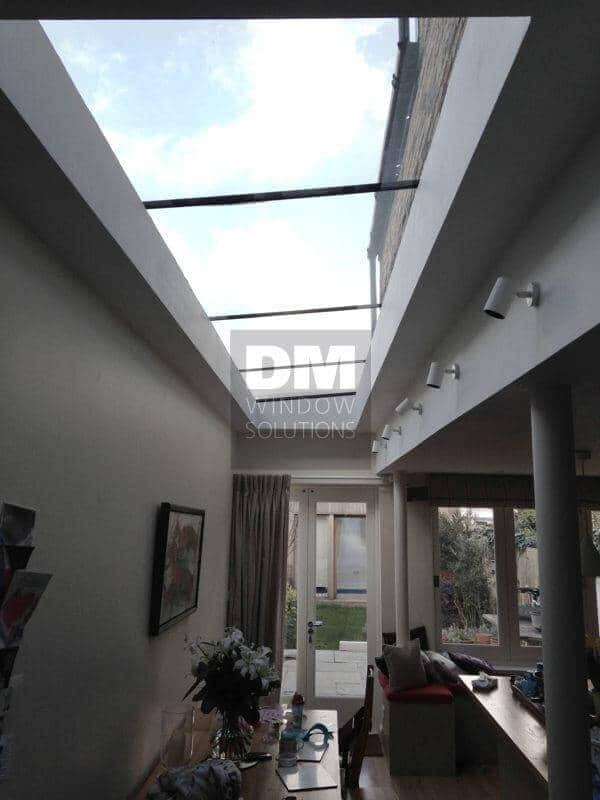 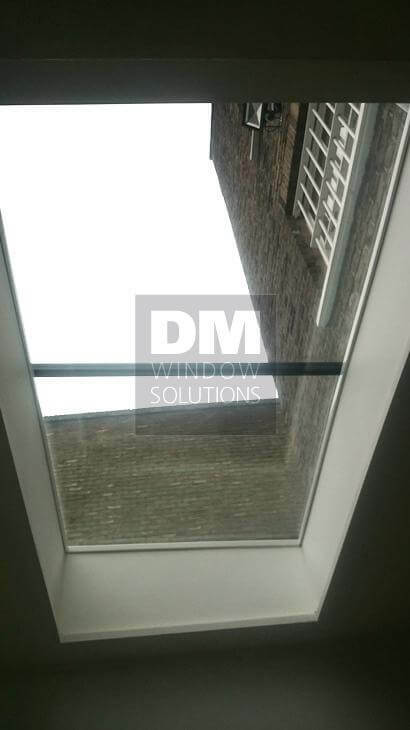 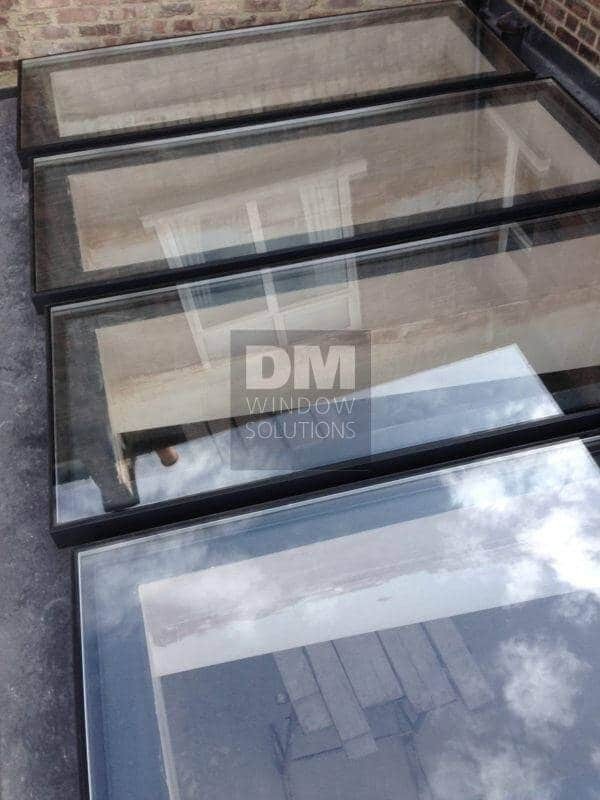 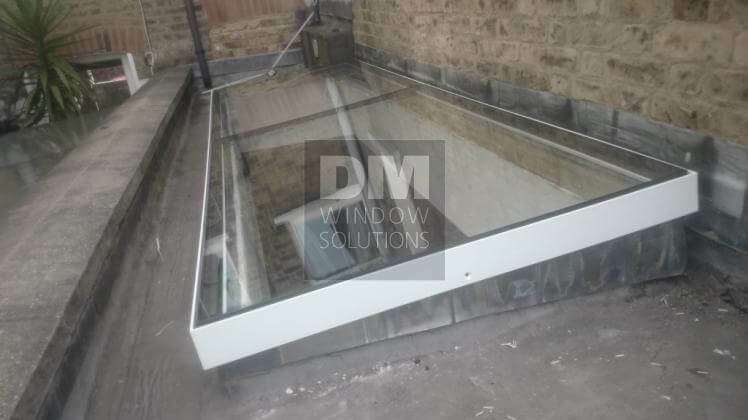 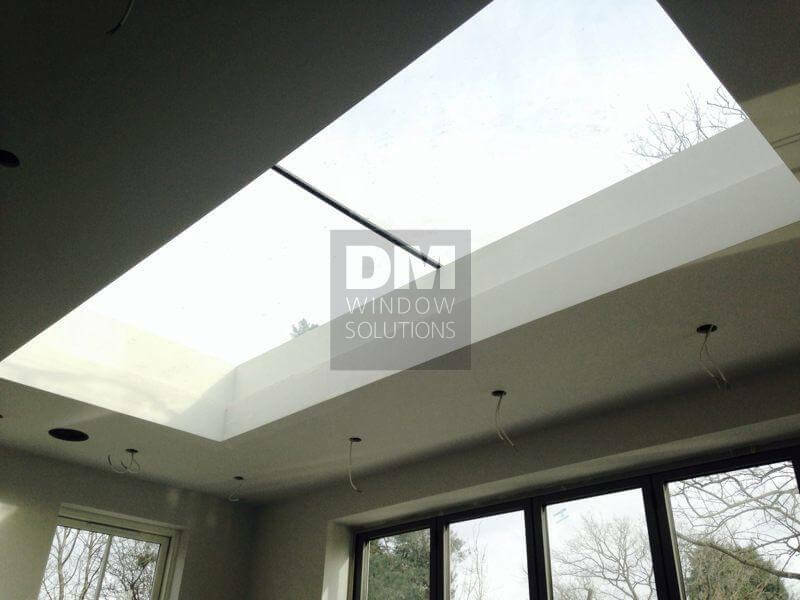 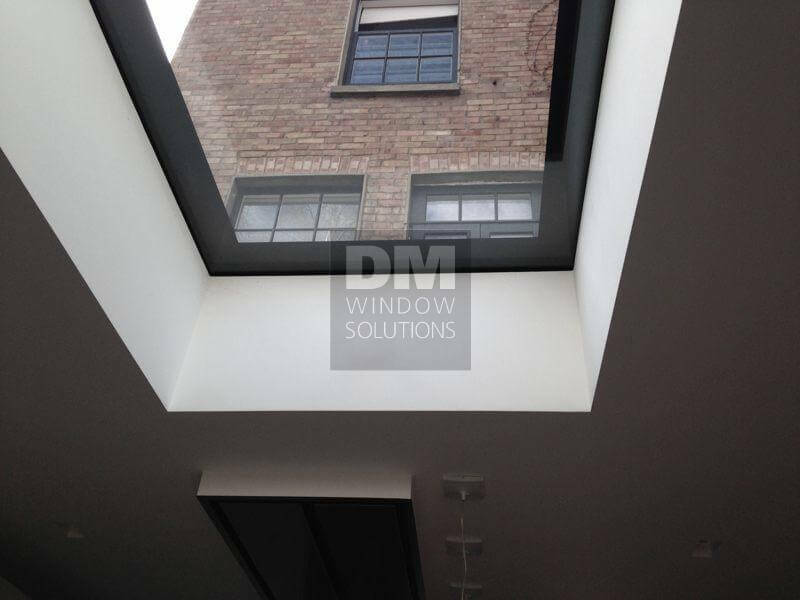 The offer includes as well Walk-On skylights, which can be used internally and externally. 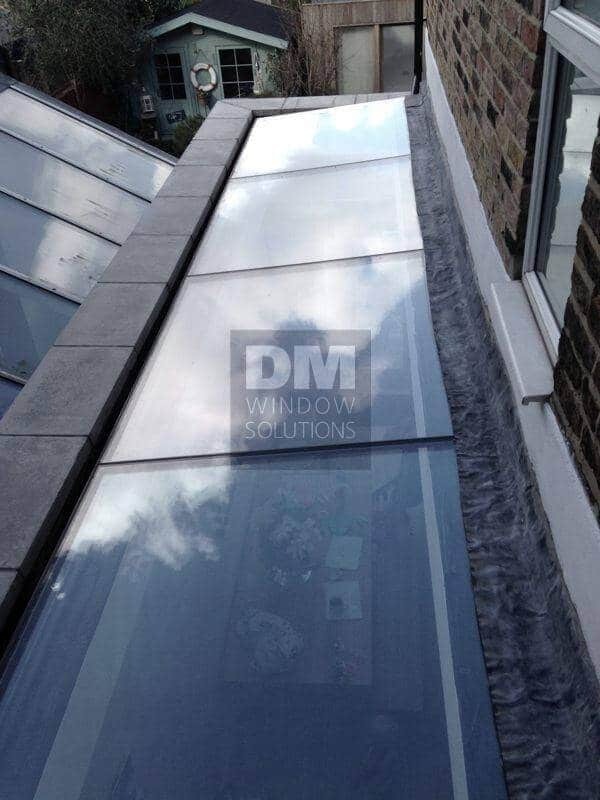 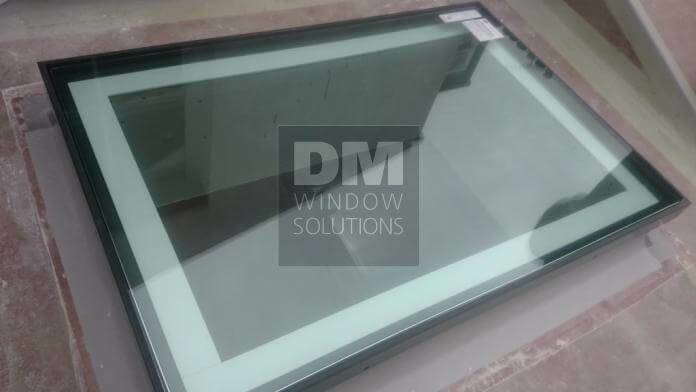 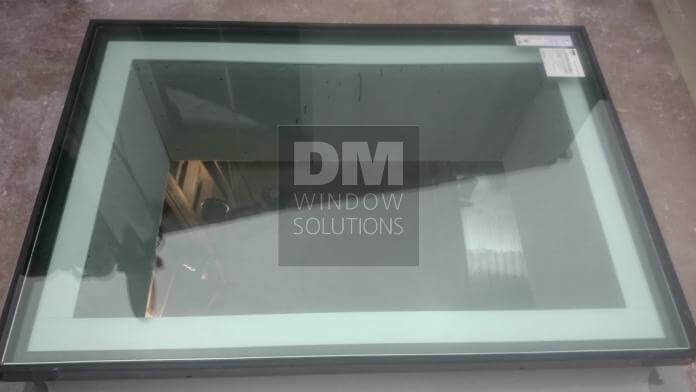 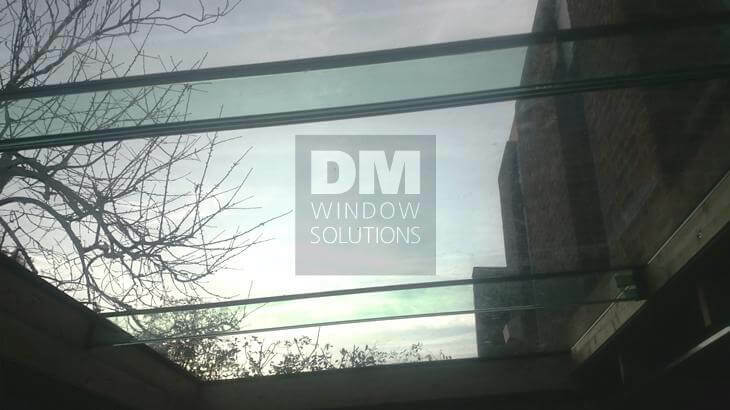 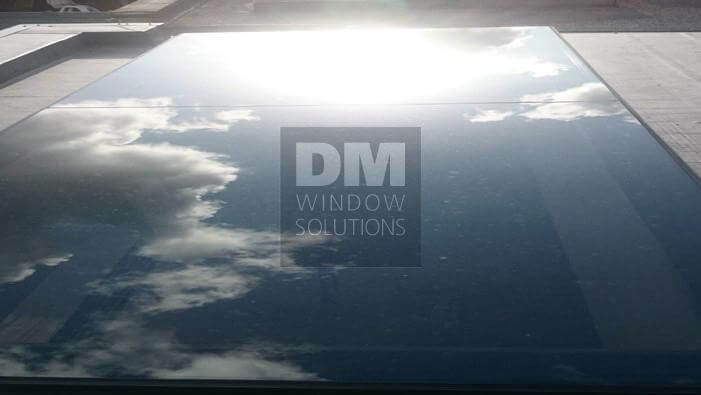 Specification of glass: 26mm of Toughened and Triple Laminated| 20mm of Argon | 6 mm of Toughened Low Emissivity.